Welcome to Ruby's Heavenly Treasures. 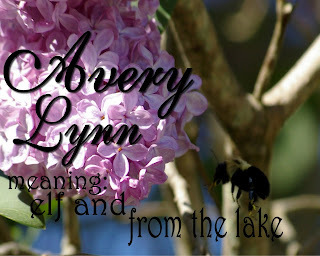 Please look on the side bar for a new idea I have for memorializing our loved ones, they are beautiful flower pictures with your child's name and the meaning of their name. This is a blog site for parents who have received a hat for their child to come and see the inspiration behind the hats that I make. It is also intended for other crocheters and knitters in the Markham, Ontario area to donate hats to Sick Kids or find free patterns to give to their local hospitals. 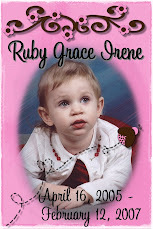 My daughter Ruby was 21 months old when she passed away suddenly to a complication of RSV that resulted in brain death. She was (and still is) one of the most precious joys in my life. This blog will always be in construction and please know that my thoughts and prayers are with you as your child goes through their treatment. My wish for them is to come home as quickly as possible.If you are here because your child has passed away, my deepest condolances go out to you. I know what it is like to have lost a child and it's one of the most painful things anyone should never have to go through. Please feel free to share your comments and pictures of your child in one of my hats. My heart goes out to this little girl's family. Avery is a little girl who was born with a disease called SMA (spinal muscular atrophy) and spent 5 1/2 months here with her family. She has a blog called Avery's Bucket List and it's from her perspective of things that she got to do before she died and it has continued since. Please pray for her family. It's one of the hardest things losing a child and I pray that their efforts to raise money for SMA research is fulfilled. I would like to thank MelissaL from a forum I frequent (split coast stampers) for donating this wonderful picture. Thanks hon!!!!! !